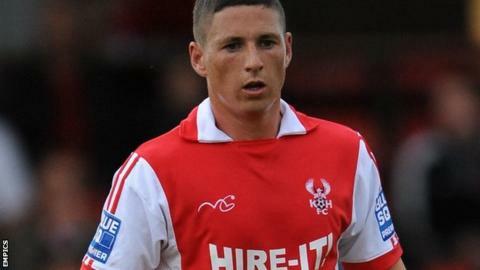 AFC Telford United have signed striker Ryan Rowe from National League North rivals Worcester City. The 27-year-old Midlander has also played locally for Stourbridge and Cradley. Telford had hoped to sign another City player, Rob Elvins, but, although he got as far as signing registration forms, he has now changed his mind because of work commitments. Rowe is Telford boss Rob Smith's sixth signing since he returned to the club. Although only signed this summer, the former Kidderminster Harriers striker has been displaced following the arrival of Lee Hughes and another experienced former Football League front man Deon Burton. Smith has also signed five defenders - left-back Darren Campion, also from Worcester, Graham Hutchinson (on loan from Halifax), Lucas Dawson from Nuneaton and two players from his previous club Hednesford Town - Curtis Tilt and Paul McCone. Telford are bottom of National League North, having won just once in four matches since Smith took the helm again - and they were beaten 4-0 at home by Harrogate last week. They host North Ferriby United on Saturday, while Worcester, just a place above them, in 21st, visit Corby Town.